As the temperature drops, the desire for seasonal trends grows stronger. Customers taste buds change as they begin to crave the many flavors the season has to offer. In cooler weather people begin to want the age old traditions such as chicken noodle soup and pumpkin pie. As a restaurant owner/manager, you can capitalize on these loved fall trends, driving business and your bottom line. Give your customers a taste of the fall season with these top trends sweeping the industry for Fall 2012. Thanks to Starbucks and the popular Pumpkin Spice Latte fall drinks are now a must have. This coveted drink has become such a symbol of the season that salivating fans try each year to determine exactly when they can start buying the drink in stores. The pumpkin pie spices are the key here making everything smell like Grandma’s kitchen, bringing back those warm childhood memories. How to make it at happen at your restaurant: First, you’ll need an espresso machine with a steam wand for steaming milk. Craft your own special fall flavor, or experiment with classics such as cinnamon, cloves and nutmeg for your own Pumpkin Spice taste. Looking for inspiration? Try this recipe to start. Frozen yogurt has been a big hit this year. But Summer is typically fro-yo and ice cream season, so it can be challenging to keep this trend alive as the colder months creep up. To keep this trend going strong try including some enticing seasonal flavors like oatmeal cookie, pumpkin pie or blackberry lemon mint tart. These new concepts with tempt your customers taste buds giving them the flavor of fall. How to make it happen at your restaurant: You will need a soft serve ice cream/frozen yogurt machine. Talk to your supplier about getting specific flavors that you want. Unless you have a chef who can put together creative, homemade batches of this decadent frozen treat on a regular basis.In which case, take advantage of this unique aspect and treat your customers to a one-of-a-kind dessert. Get your creative juices flowing with this recipe for Pumpkin Pie Frozen Yogurt. 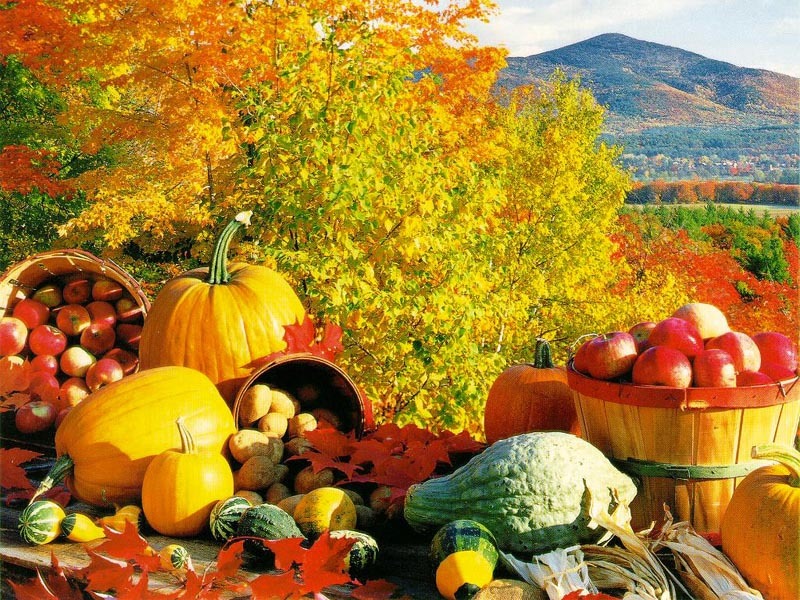 Nothing says fall like a cornucopia of in-season vegetables. Pumpkins, corn, squash, carrots, potatoes and other root vegetables are in season and ready to paint your table with the traditional reds, greens and golds of the season. Fresh vegetables add warmth to your menu and extra nutritional value. How to make it happen at your restaurant: Customers love to know that their food has been grown locally in their own hometown. Try to develop good relationships with local growers to incorporate fresh veggies into your fall menus. Roasting vegetables is a popular way to prepare and serve them, be sure to stock up on commercial grade roasting pans.